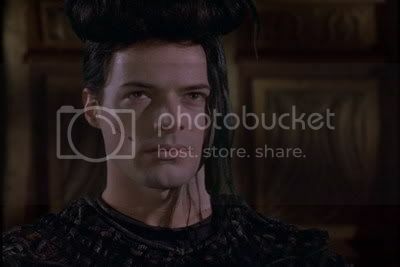 I need some kind of Lexx Figurine or Statue. 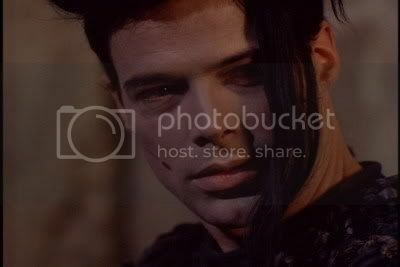 I have loads from other fantasy TV and movies that I like, but I love Lexx and I desperately want, not one but all the cool characters and vehicles from Lexx, suppose I would be happy with just a Kai, Zev, Xev, Stan and 790 but why is there nothing. If anyone makes them privately can someone let me know because I'd buy them. Oooo you're asking for a lot here matey! As far as I know very, very few fans made their own Lexx figures..some were made with clay, others were made from let's say GI Joe dolls with clay heads on top..an action figure per se..but nothing made commercially for the general market..sorry.. 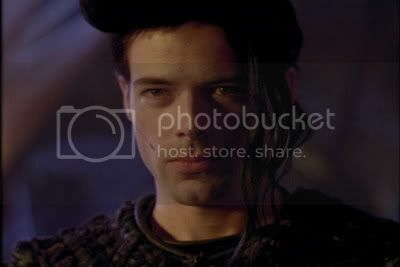 Sometimes on ebay I see someone selling tiny 3 inch models of the Lexx ship, that's all about I've seen on there. 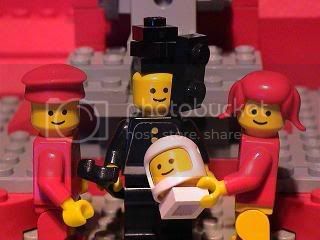 awww now let's not shed tears..I've one but right now it's sorta out of pocket let's say..somebody's baby sitting my Kai figure because in my home..at the time my nephews would have made mince meat out it..but it's in safe hands.. 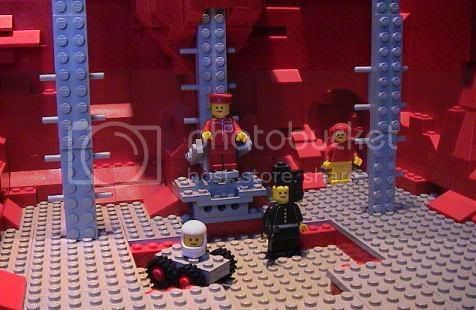 I saw this a while back, It's the closest thing I could find, make your own Lego Lexx. Another Lexxian, cloaked, did a whole bunch of those too. I've decided to make my own Lexx sculpture, over the next few weeks. I found this page and thought if they can do it I can. I'm probably going to go for more of a shoulders and head sculpt of Kai first, if it works I will probably move on to the other characters. I haven't worked out what material to use, but if it is ok I will post some work in progress photographs as I attempt to make it. I need a good pose for Kai first. Can anyone suggest or maybe has a good photograph of Kai that would be perfect for sculpting. 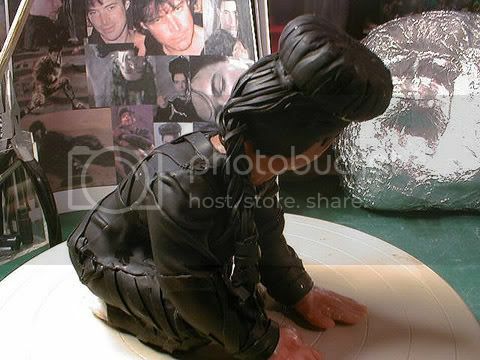 now that's 'interesting,' and I'm the first one to get excited over any fan done memorabilia but damn that face of Kai is UGLY..I can see a lot of work was done on it but it just doesn't flip my skirt..as for pictures of Kai you'll find a few in our Kai drooling thread..but if you need more ask Maya, she has a MM site that's chock full of pictures of him..
Ohhh, what about a pose where he has his brace arm raised and his brace clicked open? Do agree with your comment about Kai's face, I want my attempt of Kai to have a beautiful face, that's the appeal of making it. Just hope I can live up to my own expectations. Kai has a very beautiful face. Here's a few pics, and he looks better with the bigger bun, rather than the smaller bun as it got smaller as the seasons went by. Here's a few face pics from IWHS and Supernova. Angel, added them to my ref. photographs, I just need one now from the back of Kai's head. Still trying to decide best modeling material to use. http://www.allaboutcrafts.co.uk/acatalog/Modelling_Materials.html each one of these materials has it's advantages and disadvantages. ?????? I've capped MM and his character Kai also thousands of times, but not alot from the back of the head, here's one I found. Thanks again, thats probably all I need reference wise now. 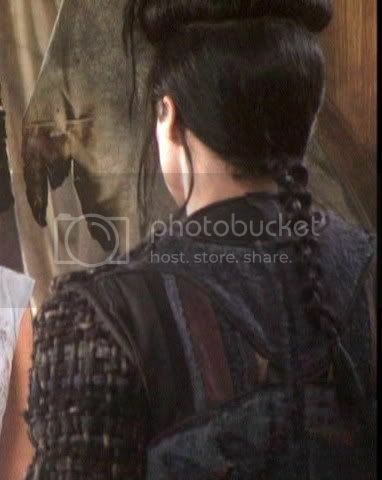 The back shot still has a lot of detail and the pony tail at the back has made me think again about where the bust starts from, I want the pony tail to hang down like it is in the photograph and not have it curled around. I would love to work in the fine detail clay but its a bit scary that it never hardens, all the other products have time limits but are tougher ?????? Another advantage of the soft clay is you can make molds but that may effect how much detail. NOOOOOOO !! good job I'm not 790 would probably get in a robotic tiny brain quandary happening. What would you or anyone else go for ?????? ?.